August 2014 to February 2015 Location to be determined. The retreat will begin Friday, September 5th, 2014 and end February 28th, 2015. There will be a three-month option, starting September 5th and ending December 5th 2014, but please note that priority goes to those who are undertaking the six-month retreat. Lama Mark will be in retreat from September until June 15th-2015. Guidance and direction will be available on a one to three week basis for the six months. He is making no commitments at this time to a teaching schedule or Empowerments. However, Lama Mark is encouraging beings to take this opportunity to begin or complete a set of the Extraordinary Foundations (Non-dro) and receive the teachings, instructions and guidance for these wondrous practices. Practitioner’s who have studied with Lama Mark and have the capacity for self-reliance and balanced qualities will be accepted, depending on the availability of accommodation.H.E. Ontul Rinpoche, a teacher of Lama Mark, has accepted his and Crystal Mountain’s invitation to bestow teachings for students in retreat, and the general public for approximately 7-10 days in September. Separate housing will be rented for three and six month practioners. All students must start in September and remain for the entire three or six month commitment. Costs will be unknown until accommodations have been secured. Similar retreats have cost $1600-$2000 per month plus food and travel. Dana is not included in these amounts. Interested, get your name on the list by contacting Susan van Asselt vanasselt.susan@gmail.com Registration and accommodation contact will be announced shortly. 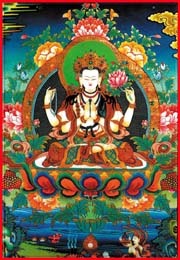 Lama Mark Webber will be bestowing the Authorization of the 12 Manjusris and Lord Sakyamuni of Vajrasana in Triune Form. This Empowerment is open to all who would like to practice these wondrous meditations. At Yoga On 7th, 156 7th Ave E, Vancouver, BC V5T 1M6, Canada Three sessions: When, 2,500 years ago, Gotama Buddha was asked whether he was a god, semi-god, a wild spirit or a human, he replied, “I am awake.” The statement contains the essence of enlightenment. But what is ‘awake’? How awake is awake? In this weekend of teaching, Lama Mark Webber introduces to us key elements of being ‘awake’. And, why nothing could be more rewarding, or natural than being very awake” Saturday, May 31st 10:30 am. to 12:30 pm. Moving to Awakening An introduction to the path of clarity, openness and joy. 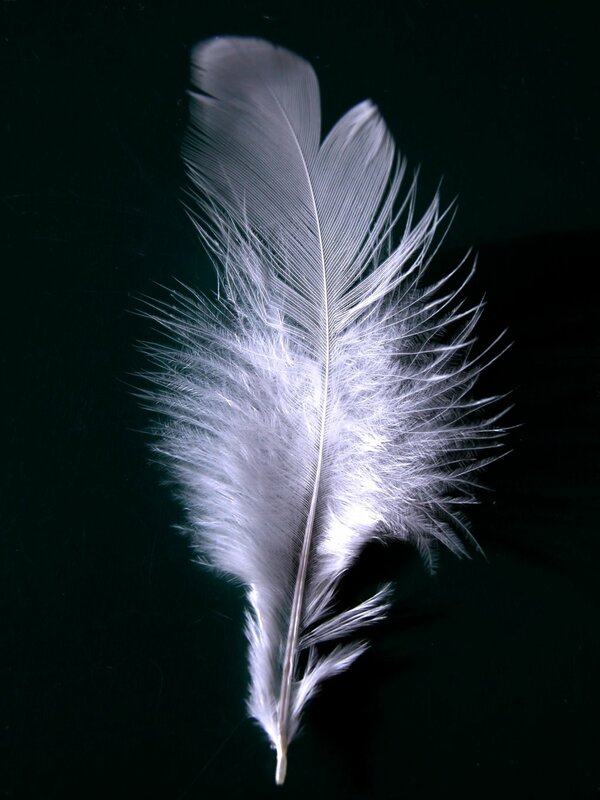 The foundation starts through in-touchment with our bodies. A group awareness-movement class that will introduce how to deeply soften and massage us physically, emotionally and spiritually. Experience how to peel away layers of discomfort of anxiety! When we are settled in the body, the mind brightens and relaxes. Saturday, May 31st 7:30 pm., Learning to Wake Up When we feel clear and joyous, we are open to learning. It’s quite natural. We have to learn what really awake is and what it is not. Lama Mark guides us step by step in re-learning how to learn, quite naturally. What do we want to wake up to? The most essential aspect of every moment: experience. Mind. Natural beingness. When we learn a bit, we enjoy learning more and more. Then we start to see what is missing in our lives and why the overstimulation, multi-tasking, consumption oriented world we find our selves in just won’t do it. Sunday, June 1st 730pm. Learning to Stay Awake and Nurture Awakeness to grow First we discover calm and clarity. Then we wake it up to find our innate awakeness. The learning is then in the confidence to keep coming back to the vivid awakeness we all have: the experience of direct, spontaneous, open-spacious and compassionate mind. Find out why this state is so often missing for us. Scuba equipment rental is $150 per week or $35 per day including wetsuit. Turtle Bay has several very good and experienced dive instructors that will be available if you care to get certified or improve your diving skills. Check their web page for programs. Send inquiries and a request to attend to vanasselt.arjan@gmail.com or laurel.jacobson@gmail.com Attendance by application. All prices are in US dollars.Please note the the nearest airport is in La Ceiba and you will need to arrive one day early. On the return, do not book flights before 9 am on the last day of the retreat. The nearest international airport is in San Pedro Sula, Honduras. Ground transportation can be arranged to La Ceiba. Meditations on the wombs of conditioning to meditations for entering the Womb of Freedom.Come join us in a retreat with Lama Mark Webber on the teachings of the Twenty-one Taras. Lama Mark will bestow the Empowerment of Twenty-one Taras, then each day he will give teachings on one of the meditational figures in the mandala. There will be two group meditations per day on each figure in the mandala. A major theme of the retreat will be the conditioning of the human womb: how Tantric practice specifically alters this very deep patterning and sets the mind towards birth into a form-being that manifests pristine awareness unified with compassion. 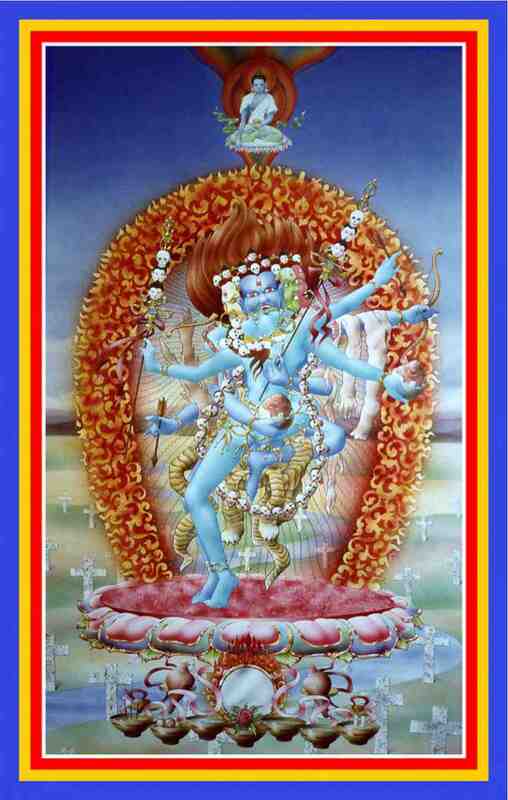 This new birth is the Yidam, an illusory body manifesting all the Awakened qualities. Other themes will include how to transform fears and anxieties, and how our relationships and communications are shaped by the womb we carry with us ever day. 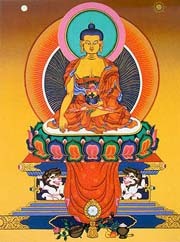 The practice of the Twenty-one Taras has a remarkable ability to quickly help people re-shape conditioning, and open one’s eyes to inner and outer ‘wombs’, continuing right through to the Womb of Freedom, called the “Mahamudra” or “Buddha-nature.” A full commitment to the entire retreat is required for registration. The retreat begins Friday night on January 10th and finishes on the morning of Sunday February 2nd. For more information contact: Terry Frewer at terryfrewer@shaw.ca Cost: We are looking for accommodation on Galiano Island, BC, Canada. Each person will have a room in a house or a cabin. Costs will depend on rental prices, food costs will be on an individual basis and a course fee will be charged to support the Lama. Some financial aid may be available for accommodation. Expanding the meditations of loving-kindness through space and light.In this ten-day retreat in the mountains of South Tyrol, Italy, Lama Mark will teach the fundamentals of Loving-kindness meditation and in addition, open up the vast scope of this essential practice through classic meditations of space and light. This retreat will be suitable for both beginner and experienced practitioners. Lama Mark writes: “Without a strong foundation of loving-kindness all of our efforts to awaken to spontaneous freedom and be insightfully compassionate will remain weak. It is a practice of vast scope. Countless beings need our help—we are all interdependent—however, to do so we must be as clear minded, bright, generous and open as possible. Meditations of space and light move us beyond “our” loving-kindness practice to vast loving-kindness and the luminous clarity of wisdom merged with compassion.” What to bring: • Embroidery hoops or rings of at least 20 cm. in diameter, preferably 30 cm in diameter. Each hoop needs to be free of bumps, scratches, screws and major imperfections. • Thin, clear, nylon fishing line. • Flashlights with big beams. • Yoga mat or carpet. For enquires contact: Doris Unterthurner Please e-mail Doris serious expressions of interest, so she can estimate accomodation requirements. * Please note that the exact location of the retreat and costs are being determined. August 31st and September 1st, 2013 Ottawa, Ontario. August 30th, 2013 Masham, Quebec. Lama Mark has been requested to provide teachings on The Mahamudra and will give a detailed exposition on the text: “The Mahamudra Eliminating the Ignorance of Darkness by the 9th Kar-ma-pa Wang-chu’g Dor-je”. Mahamudra, the “Great Seal” is the complete realization of Penetrative Insight into the nature of Mind and phenomena and the unity of wisdom and compassion. Mahamudra as a path gives detailed instructions for the development of merit, calm abiding and the stages of Penetrative Insight. Lama Mark will also supplement this with other profound teachings by the 9th Karmapa and many other Kagyu lineage holders. For more information & registration contact Susan van Asselt or Nancy McPhee ____________________________ Lama Mark will be bestowing two Empowerments at Rinchen Namgyal Dzong, Galiano Island at the end of the one-month Mahamudra Retreat: 1) Four Armed Chenresig, as revealed by the Terton Mingur Dorje. This Wongkur is open for all to attend. It is a profound empowerment for ripening the development of Compassion and Wisdom, Merit and all good qualities. The Empowerment will be followed by a Tsok feast. On the next day, there will be teachings for the meditative practice of Chenresig and a general introduction/refresher regarding the Tantric approaches of Generation and Completion Yoga. Time: Thursday August 1st @ 7:30 pm (please arrive by 7pm) & Friday August 2nd @ 9:00am, Teachings on Chenresig meditation and Tantric meditative practice. 2) The Guru Yoga of Namgyal As a final blessing for the closure of the annual summer retreat and prayers for the auspiciousness of our Lineage, Lama Mark will bestow the Authorization for the Namgyal Guru Yoga. This profound Guru Yoga was revealed by the Ven. Namgyal Rinpoche in Peru in 1974, and carries recent blessing and a cornucopia of practices for ripening Totality through Wisdom and Compassion. Time: Saturday August 3 rd @ 9:00am (please arrive by 8:30am). Some essential teachings will follow the Empowerment. Friday 24th: What is mindfulness? How do we cultivate it? What supports deepening mindfulness? What we are learning from the field of neuropsychology. Saturday 25th: What are the Four Foundations of Mindfulness? Developing Calm and Insight. What is real Insight knowledge? Sunday 26th: Teachings on mindfulness and the nature of mind from the Mahamudra and Dzogchen traditions. The retreat duration is May 24-June 4th. Morning and afternoon sessions are closed to the public. Retreatants also attend the three public evening classes. Three Stages of Ever Deepening Mindfulness: Essential pointers for unifying meditation practice and daily living. A Weekend Urban Retreat Open to the Public Friday March 29th: 7.30 pm. What is mindfulness? How do we cultivate it? What supports deepening mindfulness? What we are learning from the field of neuropsychology. Saturday 30th: 9.00 am, 3.00 pm and 7.30 pm What are the Four Foundations of Mindfulness? Developing Calm and Insight. What is real Insight knowledge? Sunday March 31st: 9.00 am and 3.00 pm Teachings on mindfulness and the View of mindfulness and mind from the Mahamudra and Dzogchen traditions. 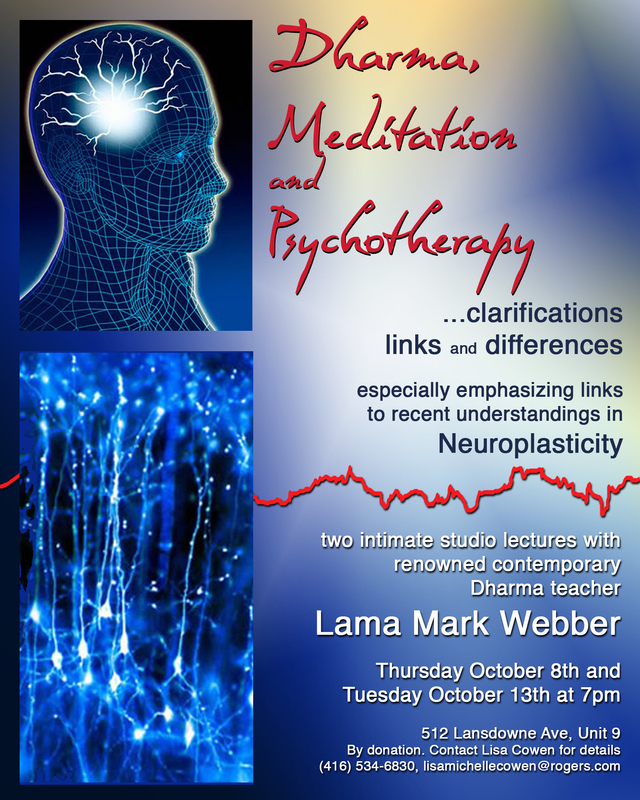 We are fortunate to have Lama Mark Webber lead us in meditations and give teachings on the many facets of classic Buddhist mindfulness training and as they relate to some discoveries in neuropsychology. He will explain in detail the Buddha’s classic discourse called The Four Foundations of Mindfulness and the necessity having a basis of Loving-kindness. Lama Mark will connect this essential training to the approaches found in the Mahamudra and Dzogchen traditions. Lama Mark writes: “Without developing a high degree of mindfulness, concentration does not get very strong and for sure, Insight (Vipassana) into the nature of self and phenomena will be scattered at best. Why not allow the natural attentiveness open to conscious awareness? It is quite straightforward—one must train—but mindfulness requires a good deal more than technique. One must really understand where one is headed. To discover the natural mindfulness or lucid awareness, it requires us to make discoveries and relax into non-clinging. Non-clinging is inherent in every moment of awareness. Let’s learn to wake this up. When we deepen this Insight with compassion it’s one of the most intelligent, loving activities we could ever cultivate.” Cost: Lama Mark does not want money to be a barrier to receiving teachings so there is no set fee. To support him and the Buddhist Centre, be as generous as you can. (Guide : $90+) Registration Contact: Tiffany: tiffany@rigdzin.org or Lara : laracusdin@yahoo.co.nz Please note, attendance at these teachings is by registration only. The weekend’s teachings are linked so attendance to only a part is not possible. This is a wonderful opportunity for those of us constrained from attending more secluded retreats by jobs or family to take some time to engage with meditation practice here in Nelson. Please register early as numbers are limited. January 8th, 2013 Vancouver, Canada. January 4-7, 2013 UBC, Vancouver. Saturday, October 6th Lama Mark will speak about the conditions that allow the meditative mind of clarity, love, compassion and joy to emerge and stay naturally steady and present. Saturday, November 3rd Ever wonder what Insight or Wisdom means? What does genuine Insight change in us and those around us? Lama Mark will cover the topics of how Insight unfolds, the foundations, the essential qualities, real and imagined signs of progress, and that full Insight is in essence — full compassion. Saturday, December 1st Mindfulness infused with loving-kindness―in all its simplicity and all its glory―are essential foundations of the Path to Freedom. During this one day workshop, Lama Mark will explain and give practical guidance on how to discover and nurture these two qualities. He will show us that both qualities are natural to our being. We need not be ‘heavy handed’ or ‘muscle through’ to find mindfulness and loving-kindness. Please bring a blanket or yoga mat to be warm and comfortable on the floor. And please bring a meditation cushion if you sit with one. Lama Mark will be having us do some mindfulness explorations on the floor. Lama Mark writes: “Without developing a high degree of mindfulness, concentration does not get very strong and for sure, Insight (Vipassana) into the nature of self and phenomena will be scattered at best. Our organisms are highly attentive, moment by moment to inner and outer things, even if “we” are not. Why not allow the natural attentiveness to open to conscious awareness? It is quite straightforward-one must train-but mindfulness requires a good deal more than technique. One must really understand where one is headed. However, to discover the natural mindfulness or lucid awareness requires us to make discoveries and relax into non-clinging. And this art must be taught. Non-clinging is inherent in every moment of awareness. Let’s learn to wake this up. When we deepen this Insight with compassion it’s one of the most intelligent, loving activities we could ever cultivate.” All three days will be held at Cameco Arts Centre Sculthorpe Room, Capitol Theatre 20 Queen Street, Port Hope, Ontario. Classes will run from 9-11 am and 2-4pm. Contact: Susan McDonald by phone at 905-753-2731 or by emailing Susan. Crown Initiation of Vajra Yogini and 3 Month Retreat. Teachings on Compassion, Yidam Yoga, Inner Yogas, and Mahamudra in a deep retreat setting. Retreat is full with a waiting list. For more information, or to place your name on the waiting list, or to enquire about the server meditator roles, please visit dharmacentre.org or by phoning the Dharma Centre on (705) 488 2704. The Buddha’s Mangala Sutta: the union of loving-kindness and awareness. Class: Understanding the Two Accumulations: Merit and Insight and comments on the nature of ritual and Tantric practice. 7:30 pm, September 12th 1444 Argyle Ave. West Vancouver [1 1/2 blocks south of Marine Drive between 14th and 15th] (15 minutes from downtown Vancouver). All are welcome. Please RSVP to Terry Frewer by email or by phoning 604-926-6288. Dana (generous donation) to the Lama is traditional and welcomed. Separately, to cover expenses (not for profit), we ask for $30 or what you can afford. The entire spiritual path may be understood in terms of the two accumulations. It takes tremendous merit to awaken- this doesn’t just appear by itself, but is built: moment by wholesome moment. The merit collected by the practices of generosity, ethical behaviour, patience, energy and concentration provide a basis for Insight to be developed, not just in flashes, but with stability like the steady flow of a river. Tantra, which can be translated as ‘weaving’, offers a supreme way to thread together the many meritorious and insightful moments- like beads onto a rosary- into a continuity of accumulation. 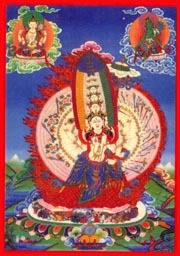 Wongkur: Orgyen Kalden Drendze, Followed by a short class on this Tantric practice. 7:15 pm, September 13th at 1842 East 2nd Street (between Victoria and Commercial Drive). Please RSVP to Terry Frewer by email or by phoning 604-926-6288. Dana (generous donation) to the Lama is traditional and welcomed. Separately, to cover expenses (not for profit), we ask for $35 or what you can afford. 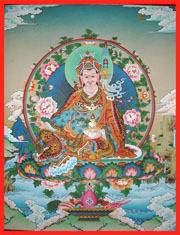 The Wongkur of Orgyen Kalden Drendze is a revealed Terma of Guru Rinpoche displaying the full range of Buddha Activities and especially powerful for the decrease of war in this age of weapons. August 27th to September 10th, 2012 Galiano Island, British Columbia Lama Mark is in private retreat. Public Talk, May 31st at 7.30 pm, CityKirche Wuppertal-Elberfeld, Kirchplatz 2 (5,- € ) What is the Essence of Buddhist Meditation? Meditation Retreat in the Oberbergisches Land, June 6th (6pm) to 12th (2pm), 65,-to 80,- € per day (depending on room) for room, meals and dharma courses, plus Dana*. Seminarhaus Ingrid Hufen, Auf dem Kuppen 8, 51570 Windeck–Halscheid. Mahamudra Teachings based on Examples of Illusion. In addition, Lama Mark will bestow the Empowerment and practice for Padmasambhava in the form of Urgyen Kalden Drendze (a Terma especially powerful for the decrease of war in this age of weapons) Ask for separate days to book. Public Talk, June 14th at 7.30pm, Färberei, Wuppertal-Opberbarmen, Stennert 8, (5,- € ) Why we Need to Cultivate Awake Compassion. February 12th, 2012 1606 Bonita Ave. (between Cedar and Virginia), Fireside Room, 2nd Floor. Education Building,Berkeley Fellowship of Unitarian Universalists. January 15 to February 11, 2012 Guatemala Contemplating the Nature of Illusion Teachings on the 12 signs of Illusion from the Indian Tantric Tradition The Crystal Mountain Annual Winter RetreatTHE UNION OF COMPASSION AND PRIMORDIAL AWARENESS Sunday January 15- Saturday February 11 2012 (2 week (January 15-28) or 4 week retreat options available) Location: Villas B’alam Ya, Lake Atilan, Carretera a Santa Catarina, Guatemala, (www.balamya.com). For registration and details please contact: Nicolina Sebok at shareseeds@yahoo.ca Or Download the 2012 Winter Retreat Registration Forms and General Information Package Costs and deposits: yet to be determined. Empowerments to be announced. More details to follow. Photo from Villas B’alam Ya Lake AtilanPresently, Lama Mark is in a private meditation retreat here on Galiano Island. Earlier today we received a message from Lama Mark that he would like to expand the title for the The Crystal Mountain Annual Winter Retreat in Guatemala. Lama Mark would like to include Contemplating the Nature of Illusion; Teachings on the 12 signs of Illusion from the Indian Tantric Tradition to the previously advertised title “The Union of Compassion & Primordial Awareness”. Teachings and meditations will be given based on the text, “Contemplating Illusion through Loving All Life”, as well as Empowerments (Wongkurs) from the Highest Yoga Tantra’s to be announced during the retreat. Interested students of Lama Mark who would like to explore and travel in northern India please contact: Jamie At this point we are still working on the itinerary. Once it is fully settled we will inform all on the Email-list. Considerations: You will need to get a Visitor’s visa for India, please check the following link for information: http://in.vfsglobal.ca/It can take 5 to 7 business days. August 15th to November 28th, 2011 Galiano Island, British Columbia Lama Mark will be in a silent meditation retreat. 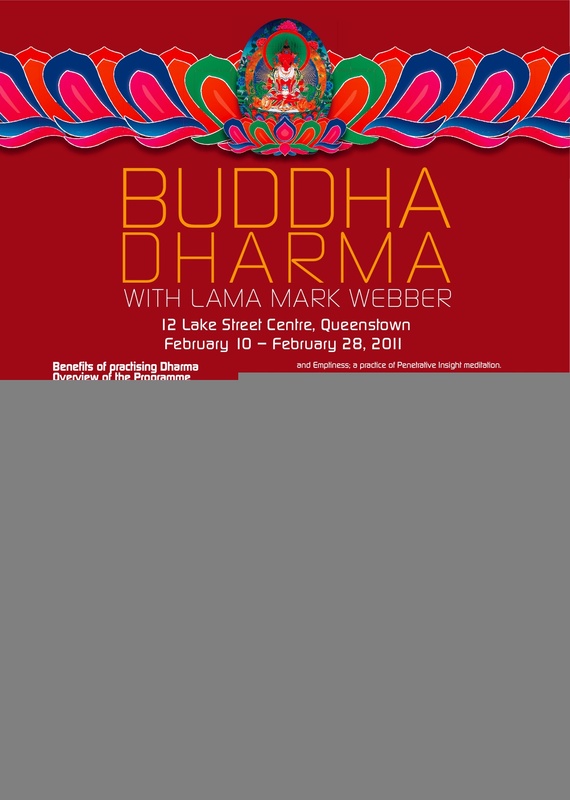 November 27th, 2011 Vancouver, British Columbia We are pleased to announce that Lama Mark Webber will be in Vancouver on Sunday November 27th 2011. There will be a potluck supper followed by a Dharma talk. Lama Mark will give teachings to clarify, step by step, The Path of Liberation-Meditation. Questions welcomed! All welcome. Please RSVP for potluck and/or just the Dharma talk terryfrewer@shaw.ca saskias@telus.net 604.926.7398 Potluck Supper: 5:45pm. Class at 7pm Cost: by Donation For further information please contact Terry Frewer: 604-926-6288. Address: 1444 Argyle Ave. West Vancouver [1 1/2 blocks south of Marine Drive between 14th and 15th] (15 minutes from downtown Vancouver). 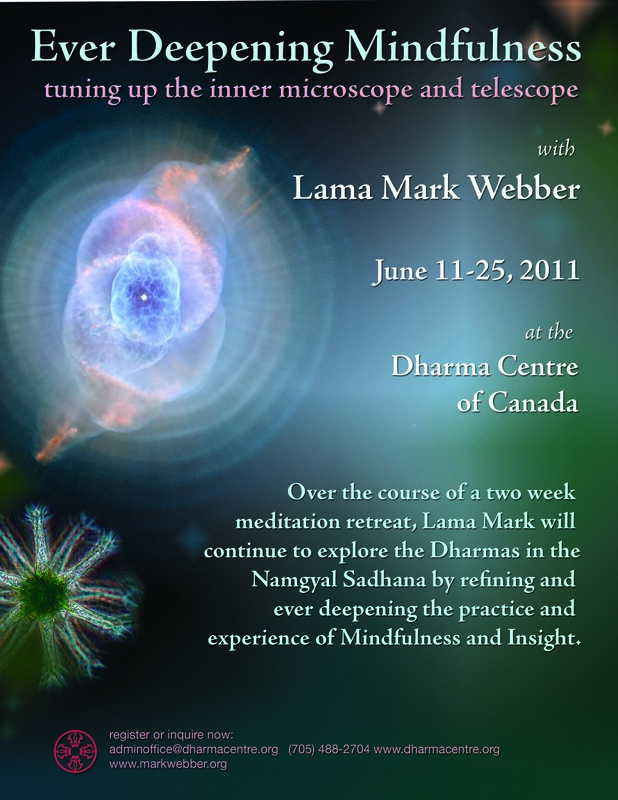 June 11-25, 2011 Dharma Centre of Canada, Ontario Ever Deepening Mindfulness: Tuning up the Inner Microscope and TelescopeOver the course of a two week meditation retreat, Lama Mark will continue to explore the Dharmas in the Namgyal Sadhana by refining and ever deepening the practice and experience of Mindfulness and Insight. May 13 to 26, 2011 Germany Teachings and Retreats in Germany Click to download the German language poster Click to download the German language postcard Click to download the English language posterPublic Talk in Salon Stephan Lipphaus Naturfriseur, Karlstraße 50, 42105 Wuppertal; 5 € plus Dana * – Meditation and the Path of Liberation – May 13th (7:30pm)Weekend Workshop at WPZ (Waldpädagogisches Zentrum Burgholz, Friedensstraße 69, 42349 Wuppertal; 40 € plus Dana*, without meals) – Mindfulness, Breath and Vipassana – May 14-15th: (10am-6pm, 10am-4pm) Retreat in the Oberbergisches Land from 18th to 26th of May 2011at Seminarhaus Ingrid Hufen, Auf dem Kuppen 8, 51570 Windeck–Halscheid, 65,-to 80,- € per day (depending on room) for room, meals and dharma courses, plus Dana*; ask for seperate days to book. – The Namgyal Yoga and Teachings – May 18-26th. Lama Mark Webber’s (Lama Yongdu’a) style of teaching is non-sectarian and universalist in nature, displaying for beings the wondrous unity, uniqueness and intrinsic freedom of all life. 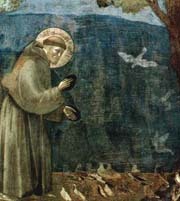 His teaching is classically founded, but well integrated with science, art and nature. His work with people demonstrates a profound commitment to freeing beings ￼from innumerable suffering states, whether through meditation, study, art, travel or science. He has been studying and teaching Buddha Dharma (the Teachings of Liberation) and meditation for thirty-five years. His root Lama was the Ven. Namgyal Rinpoche. He is a Visiting and Resident Teacher for a number of retreat and Dharma Centres worldwide and is the author of a number of books and publications, including,”Why Meditate? A Heart Song of Vast Release”, “Union of Loving-kindness and Emptiness”, “All Life Breathing (CD set)” and editor and author of the booklet, “A Basket of Gems.” For further information please see: www.namgyal-rinpoche-gruppe-deutschland.de/ or contact Karin Ricono karin.ricono@t-online.de or 0202/305930 or 0049/17652579518 *Dānā – Lama Mark does not want money to be a barrier to receiving teachings so there is no set fee. To support him be as generous as you can. 05 April at 08:00 – 12 April at 12:00 Bella Rakha Retreat Cente, Oratia, Auckland Lama Mark Webber Meditation Teaching in New Zealand 2011 “THE UNION OF SOUND & AWARENESS” 7 day meditation retreat”Just pause for a moment and try to estimate how many outer and inner stories, and internal moments of chatter we have in a day, in a year, in our whole life. Then please consider that each dialogue, each habitual pattern secretes neuro-homones and shapes our body, speech and mental-emotional patterns. These patterns become brain maps, built of countless sounds and vibrations. Who we are, who we become is how we sound and vibrate, manifesting what we say and do. We pay close attention to all the internal sounds and vibrations, hour after hour, day after day; and we learn to transform each statement, sound, image and posture into an expression of freedom and compassion. New maps are formed about us and how we experience the world.This one-week retreat focuses on exploring the unity of awareness and sound. Not only can sound soften the “heart” and brighten awareness, but it leads to profound changes in all levels of inner and outer communication. We will deeply explore many levels of sound; song, sounding of syllables, breath, movement with mindfulness and mantra yoga. These practices produce real physiological change, and confidence in expanding to a continuum of tranquil vitality resulting in greater natural vividness and a compassionate flow of awareness. We not only deeply relax through sound, but we can then cut through the illusion of sound and all vibration as being substantial, leading to uncovering essential spaciousness and luminosity of mind. Meditation is far from being a frozen state. Meditation or mind in its naked state is vividly alive, awake, loving and without constraint. With a great openness of heart and awareness, emptiness of all experience shines through.” Lama Mark Please book as places are limited. For more information please contact Mira at georginamira@yahoo.co.nz or 021 548 781. Costings are still being confirmed, Mira should have the info by next week. A four week retreat at the Wangapeka Educational Trust & Retreat Center, New Zealand, organized by the Queenstown Dharma House. February 10 – February 28, 2011 Queenstown, New Zealand www.dharmahouse.org.nz Queenstown Dharma Teachings Wednesday 9th – Arrival in Queenstown Thursday 10th – Informal class – 6.00 pm – Ask Lama Mark questions. Saturday 12th and Sunday 13th 2.30 pm and 7.00 pm. The Union of Sound and Awareness. “I estimate that many people have at least 10 thousand outer and inner stories, conversations, songs, dialogues and chatter per day; about 3.5 million per year. Please consider that each dialogue, secretes neuro-hormones shaping and vibrating our body, speech and mental-emotional patterns—forming our brain maps. It is all sound. We will discover that we can learn to replace the habitual sounds and “vibrate” and sing liberative maps through meditative awareness. This is a very powerful form of mind, speech and body yoga.” (Lama Mark) Tuesday 15th – Wednesday 16th, Thursday 17th. – 7.00 pm. The Cognitive Process in Meditation and Liberation. 7.00 pm. Teachings from the Abhidhamma and modern neuroscience . It has been said by some great teachers that Liberation from emotional suffering is the experiential knowledge of the cognitive process. Saturday 19th – Sunday 20th – (times to be advised) Movie Yoga & Insight Meditation: Going to the Movies to Realize Emptiness and Illusion. Movies examined with sharp awareness provide a swift method to understand and glimpse the nature of illusion, mental creation and Emptiness; a practice of Penetrative Insight meditation. Lama Mark will give an introduction and orientation into this unusual Yoga, and then we will go to the cinema to practice and make discoveries. There will be two very different movies (at a cinema) and four classes exploring the nature of Emptiness. Lama Mark will then give commentary on a most profound pithy text by the great yogi-scholar Ju Mipham Rimpoche (1846-1912). Tuesday 22nd, Wednesday 23rd – 7.00 pm. Teachings on the Paramī (Perfections). The Six Paramī (or Pāramitā) of the Mahayana tradition: generosity, ethics, energy, patience, concentration and wisdom, are the ‘bedrock’ strengths that need to be developed to a high degree to become liberated from suffering and assist others. This is one of those basic but deeply profound teachings—rich like an ocean of jewels—required for all meditative practitioners and those studying any facet of Buddha Dharma. Saturday 26th, Sunday 27th and Monday 28th – 10 am to 5.00 pm. Mindfulness of Breathing (Ānāpāna-sati) Retreat. Followed by a Pot-Luck Supper. Lama Mark will give step by step teaching, with practice sessions, on the classic meditation of Ānāpāna-sati (Mindfulness of Breathing) by Sakyamuni Buddha. Both the Tranquility and Insight aspects of this remarkable meditation will be presented and explained. Note: Empowerments yet to be announced. Contact: qtndharmahouse@yahoo.com Tuesday 1 March 2010 – Lama Mark leaves Queenstown. 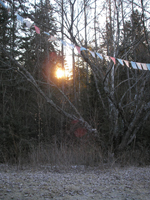 In response to our requests for another long retreat and a deep study of Abhidhamma, Lama Mark has proposed a four month retreat on Galiano Island, September 18, 2010-January 15, 2011. Sponsored by Crystal Mountain Society. The Abhidhamma(Pali for “Higher Laws” or “Higher Phenomena”) is one of the three-baskets (collections) of the Buddha’s teachings. In the Theravadin tradition it is considered to be the pinnacle of the Buddha’s teachings. It is a deep study via meditative analysis of mind and form, states, meditative concentration, realms of being, mental processes, cognition and stages of liberation; all from the perspective of the Buddha’s meditative insight. Abhidhamma studies combined with meditation are essential for better understanding the whole of Buddhist Teachings, especially the progressive unfoldment through meditative concentration and insight knowledge. The Course/Retreat Plan is to have approximately three-months of Abhidhamma teachings, study and short meditation retreats, followed by 3-4 weeks of deep retreat on these profound teachings of Insight. Lama Mark stated that he will give the entire transmission of the text, the Abhidhammathasangaha, with some teachings from the Abhidhammakosa interspersed with modern cognitive, neuroscience, life sciences, ecology, physics/chemistry and space science perspectives. Be prepared to translate, study, investigate together, do lab explorations and meditate! The emphasis of this program will be on combining intellectual rigour with insight meditation in the tradition of Abhidhamma as Lama Mark received it from the Venerable Namgyal Rinpoche. The empowerment of Sarasvati will be given on October 16th. The Nature of Community: going into the heart of communing with all. Lama Mark will guide participants on an in-depth exploration–through meditations, group discoveries, classes and discussions–around the themes of community, communing, meditation, liberation and learning. We will start the retreat with four to five days of intensive explorations of body-mind awareness and physical integration through Feldenkrais guided by Jamie van Dam. 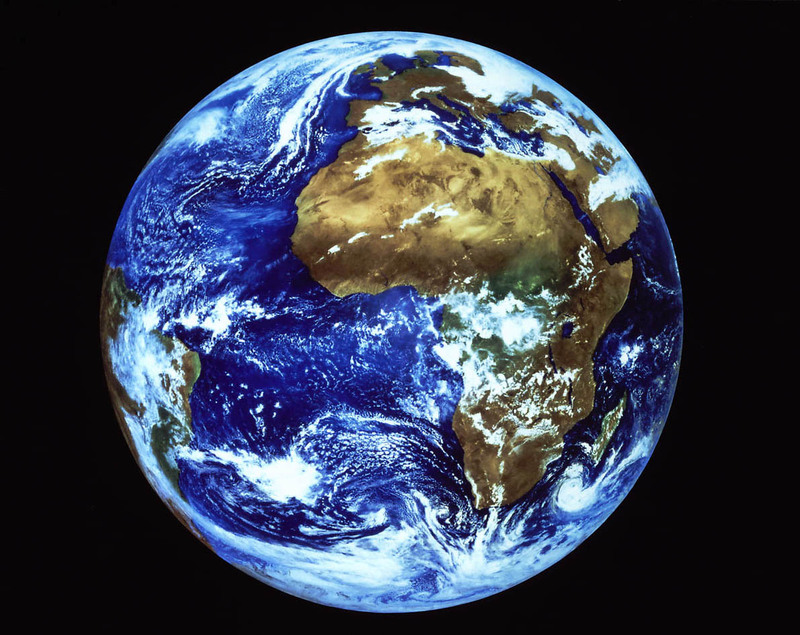 “We are enmeshed in a vast interconnected web of life and form and we are all part of a immense and intelligent community. But what do we really know of it? How do we participate in and explore this web without confusion, projection and turmoil? The word community literally comes from the roots “together” and “gift”, meaning to “exchange together”, or “give amongst each other”. Which kind of gifts are we giving and receiving: anxiety, harm, confusion or clarity, intelligence and compassion? Are we really aware of what we are exchanging internally and to others? Before we can commune well on a big scale–together with humans, groups and all kinds of creatures–we need to learn about giving and exchanging on the micro level. We require a clarity and depth exploration of what it is like to ‘commune’ with our own organism, to feel deeply comfortable and loving in our own ‘skin’. And the practice of generosity is the basis. Generosity builds great strength of mind. We will learn how to give deeply to our being, by drenching ourselves in mindfulness and loving-kindness, moment by moment and thereby expand this openness to all creatures and forms about us. To commune well is to be clear, alive, discovering, sensing and compassionate. To be clear and compassionate requires a deep physiological dissolving of our mental confusion and turmoil. The 21 Taras Empowerment will be bestowed on Sunday, July 18th.The Empowerments of Namgyal and White Mahakala will also be bestowed.” (Lama Mark) For further information please call Jane at 604-266-6866 or 604-837-4744 or email janemortifee@telus.net Here is the poster for the public classes To see the poster for the retreat, please click here. A mini retreat-With Lama Mark Webber The Heart Sutra is one of the great Buddhist classics pointing directly to the nature of emptiness, the essence of all experience and wisdom mind. It is a pithy and poetic meditation text, compassionate and deeply moving. With mindful attention to the experiences of our eyes, ears, nose, tongue, body, perceptions, feelings and mind we begin to experience an open and wondrous freedom. The Tantric Empowerment of Prajnaparamita, who embodies the teaching of the Heart Sutra will be bestowed at the beginning of this retreat. In addition to Lama Mark’s teaching there will be afternoon sessions of body-mind awareness and physical integration through Feldenkrais guided by Jamie van Dam. Please bring along your meditation cushion and a blanket for your comfort. DATE: June 26th and 27th, 2010. LOCATION: Vancouver School of Theology UBC, room 527, 6000 Iona Drive, Vancouver, BC PARKING: The Carey Center, located behind VST & UBC Rose Garden parking lot. Costs:$5/day. REGISTRATION and inquiries: call Saskia at 604 926-7398 or Debi at 604 529 1877. DANA: (Donation) Support for the Teacher is given separately from the Retreat Costs, please give generously! RETREAT COSTS: $100 (We collect fees to cover course expenses and the Teacher”s travel, food and accommodation.) PROPOSED SCHEDULE: Saturday 9:30 am to 9 pm, Sunday 9 am to 5 pm On Saturday morning we will begin promptly at 9:30 with the Empowerment of Prajnaparamita. It is appreciated that participants arrive 15 minutes early! FOOD:For the lunch & supper breaks, there are several restaurants close by, as well as the workshop space has a small kitchen,surrounding quiet gardens & a deck with with a million dollar view.You are welcome to enjoy these facilities. Please feel free to distribute this poster. To register or enquire about this retreat, please email The Dharma Centre of CanadaLama Mark writes: “This retreat will be a blend of traditional teachings and modern neuroscience (with emphasis on neuroplasticity). It is essential to understand why the practice of Buddhist Tantra, which is all Guru Yoga, is so vitally important for modern humans. In order to establish the proper order of practice, the foundation teachings and blessing of Refuge, Precepts and Bodhisattva commitments will be given first. In addition, anyone is welcome to attend for a renewal of these essential commitments and practices. After the empowerment of the Namgyal Guru Yoga, there will be teachings, group meditations and sessions of energy-awareness meditation. I will be emphasizing penetrative insight meditations on the illusory nature of all things, nature of mind and compassion for all life. If we wish to experience freedom, a great bliss of non-clinging awareness, then we need to find out what experience really is, from deep inside.” “Let me see if I can clear away any doubts on confusion regarding taking Refuge. I am offering the classic Mahayana blessing of: Taking Refuge, Precepts, Dharma Name, and Bodhisattva commitments (vows) and the explanations and teachings that precede the ceremony. 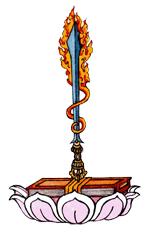 Traditionally and by common sense, it is very important that before entering into Tantric practices that the above be established in the mind-stream. In fact it is not possible to unfold the Yidam practices, which are all Guru Yogas without this commitment, being established first (sometimes beings have this quality in their mind-stream quite naturally, however, even then it is very good to bring it to conscious knowledge and practice). That is why at the beginning of each Empowerment and Sadhana the Refuge and Bodhisattva vow is repeated three times, sometimes a number of times in different ways. To practice Tantra and become the Yidam, practice as a Buddha, and emanate and receive blessings, requires this foundation. 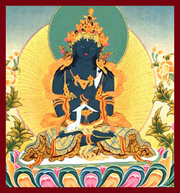 However, it is often the case that the Lama allows people to attend and receive Empowerment, even practice Tantra, if they have not formally taken Refuge etc., as the refuge and bodhisattva commitment is said at the beginning of each Empowerment and Sadhana practice; and one hopes at some future time when all is auspicious that the being will formally take Refuge with a Vajrayana teacher. It is very important to one’s ripening. One can take refuge with a teacher(s) many times in a life, and it is good to re-establish one’s commitments and precepts, like a refreshing drink of elixir for strength and vigour, to re-join and remember; especially since it is normal that there have been transgressions or ‘slip ups’ in ethics and bodhicitta commitments. Sometimes beings get lost for a time or go astray in believing that people, places or things are the real Refuge and the means of unfolding wisdom-compassion. When I am the Lama who bestows the blessing, I don’t feel that those attending have an obligation to “be my student”. However, of course, a strong connection is made; it may be the case that the person feels I am their principle teacher, but there are many who study or come to teachings and retreats that have another teacher who they have taken refuge with and who they consider to be ‘their principle Lama’, even ‘root teacher.’ I am offering this blessing more often these days because so many people are attending courses or retreats, especially with Tantric yoga, where I assumed they had taken Mahayana refuge from another teacher and it turns out they have not, even after many years of Tantric practice. And secondly, not all people who practice Tantra are always clear and well founded on the vital importance of Refuge, precepts and Bodhicitta commitments flowing and being fresh in our mind-streams. I have confidence that by taking Refuge etc., and receiving detailed teachings on these foundations of the Path, many impediments to beings unfolding get cleared up. So, from time to time I offer this blessing, especially the explanations and commentaries. How is it possible to have refuge in Guru Mind without refuge in Buddha, Dharma and Sangha: Buddha-nature (Buddha), transmission of Dharma (Dharma) and those who have experienced the transcendental (Sangha)? How is it possible to have refuge in Guru mind without refuge in Vajra Body-Speech-Mind? Not! So we need to take very good care of our minds as mind is the ultimate Refuge, as it is for all other sentient beings. So, let’s start with a deep and well built foundation.” LMW The empowerment of White Tara will also be bestowed. Please feel free to distribute this poster. 2010: March 20 to May 3rd. Wangapeka Study and Retreat Centre, (near Nelson) in New Zealand. The Queenstown Sessions: a veritable feast! The Weekend Sessions, “Understanding Buddha Dharma” comprise a complete courseon Hinayana, Mahayana and Vajrayana (Mahmudra/Dozchen). The progressive path of Buddhism involves moving from one ‘yana’ (vehicle) to the next. This is a detailed explanation of the scope of Buddha Dharma. It is rare indeed to find such an encompassing teaching. It is important to try and follow the course all the way through, session by session. The Lama will explain this in more detail in the course of the Friday night (12 February) session. The Weekday Sessions, comprise a “Detailed Examination of the Chenrezig Sadhana”. This too, is a complete course. While of great interest to anyone wishing to understand Vajrayana practice it is especially meaningful for those who have been working with the Chenrezig practice through the Centre. This is an opportunity to get to grips with what exactly yidam practice is and why it is so powerful. It is important to try and follow the course all the way through, session by session. This will be a revelation. The Lama will explain this in more detail in the course of the Friday night (12 February) session. 12 February (Friday)- 7.30pm – What is Dharma? And an overview of the teachings thru to the 9th of March. Weekday Sessions: Tuesdays and Wednesdays, 16th, 17th, 23rd, 24th Feb, 2nd, 3rd March. Weekend Sessions: Saturdays and Sundays, 20th, 21st, 27th, 28th Feb, 6th, 7th March. 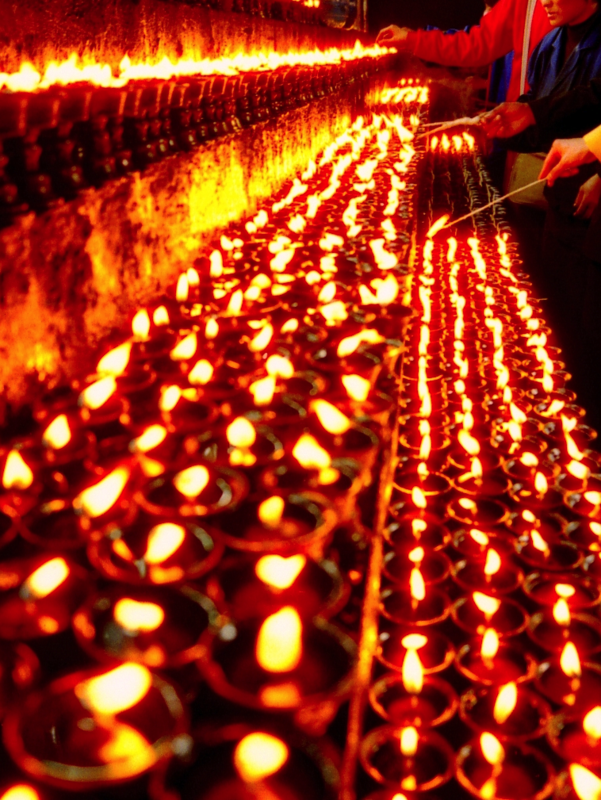 4th March (Thursday): Group Chenrezig meditation with Lama Mark. 9th March: Dinner together. (Venue to be advised). For a pdf with full details of the programme, please click here. For enquiries please contact Alan Macalister. 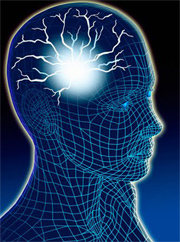 Meditation, the Experience of Freedom, and the Neuroplasticity of the Brain. Emphasizing the yogas of loving-kindness, compassion, energy balancing and the natural wakefulness of the mind. The Empowerment of Sakyamuni will be given during a retreat at the Halscheid Retreat Centre. 2009: November 13 -December 12 Bodega Ridge, Galiano Island, BC. 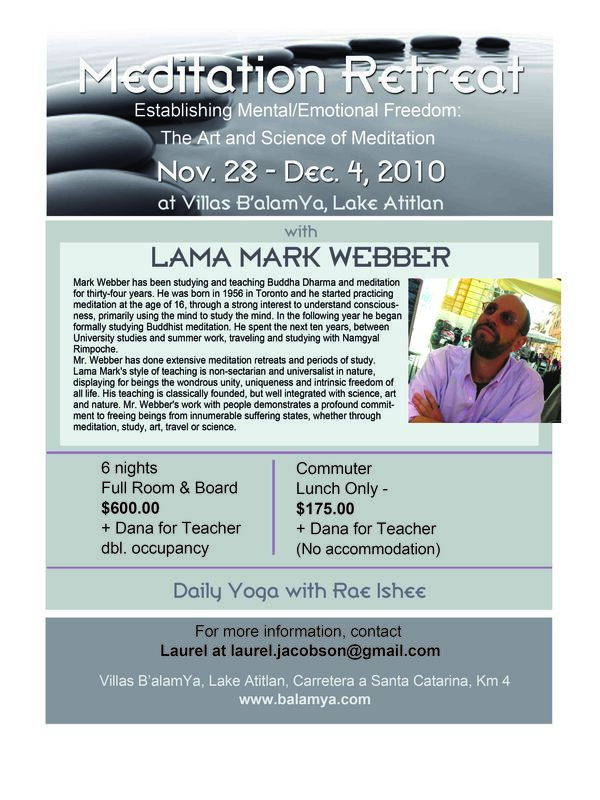 Announcing a month long deep retreat with Lama Mark Webber…. When: November 13 -December 12, 2009 Where: Galiano Island, BC, Canada, at Bodega Resort. Meditations on Bodhicitta and Compassion Lama Mark will be giving a month of teachings focused on awakening Bodhicitta (mind of awakening) and unfolding compassion. Waking up these two “pillars” of Dharma is fundamental for all of us who are growing, searching and unfolding as human beings. The great Yogi Shabkar once said, “although one’s realization of Mind may be great, without compassion the Dharma is rotten.” As well, Lama Mark will teach on Yidam Yoga (Deity Yoga), clearing away misunderstandings, and highlighting how profound a path it is for strengthening Bodhicitta and compassion, and transforming unproductive life patterns. The Empowerments of Four Armed Chenresig and Fierce Guru with Phurba will be bestowed in the retreat. Emphasis will be on individual guidance, group practice sessions and movement-awareness explorations. We need commitment for this retreat to happen. Initial deposits are due by June 30th. Click here for financial details. If you are committed to this retreat and unable to meet the deadlines or require further information please call Jane ASAP at 604-266-6866 or 604-837-4744 or email Jane Mortifee. Here is the application form and Crystal Mountain membership form. We are looking for a Retreat Manager. The course fees for this individual will be waived (excluding food and Dana). It is preferable that this person have their own vehicle or access to one, the cost of gas will be covered. The Merging of Space, Compassion, Intelligence and Wakefulness. 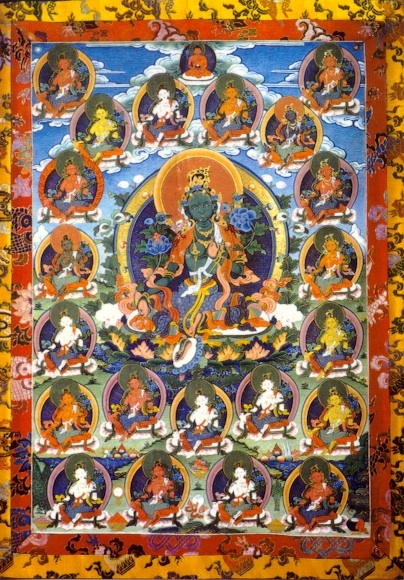 The Guru Yogas of Manjusri and Namgyal. 2009: July 10-Aug 2 Crystal Mountain Study & Retreat Centre, Galiano Island, BC. 2009:July 3-5 Crystal Mountain Study & Retreat Centre, Galiano Island, BC. 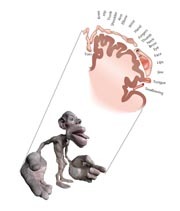 The human nervous system is capable of an enormous range of plasticity. 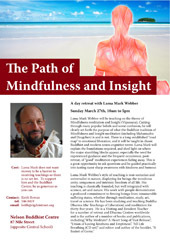 In this second workshop, Lama Mark Webber will further explore the interconnections between meditation, mindfulness and therapy: the emphasis will be on meditative experiments and theory showing the importance of allowing openness in the sensory motor system–especially the eyes, mouth and hands. Please click here for a full description. For more information please contact: Saskia Soeterik on 604 926 7398 or email Saskia Soeterik or Debbi Hartwell by phoning 604 529 1877. Why Meditate? The essence practice of unifying awareness and compassion. -Thurs 7th May and Fri 8th May – (7.15 pm) teachings and meditations -Sat 9th May and Sun 10th May (9 am – 8.30 pm) – 2 days urban retreat -Tuesday 12th May – (7.15 pm) – Vajrasattva Wongkur and pith teachings -Wednesday Morning May 13th (9:30 am – 10:30 am) – Vajrasattva meditation instructions -Wednesday Evening May 13th – (7.15 pm), Question & Answer Session with Lama Mark For a full description of the programme, please click here. For further information please contact Sunil Nathvani by email or by telephoning 04 470 7545. This retreat lead by Lama Mark Webber will start with step by step teachings and individual guidance on the Buddha’s classic method of Mindfulness of Breath (Anapanasati). Both the Tranquility and Insight aspects of this remarkable meditation will be presented and explained. After approximately 10 days, Lama Mark will give teachings and meditations from the Hua-yen school of Buddhism. These are profound and vast meditations on relativity, interdependence and impermanence, the Four Realms of reality, the Ten Mysterious Gates and so forth–inconceivably deep, challenging and stretching. 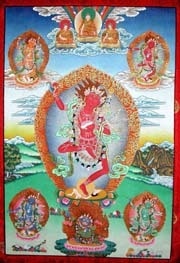 The Empowerment of the Demchog Five Tantras will also be bestowed, by request. The two texts for this retreat are: The Anapanasati Sutta (Mindfulness of Breathing) – copies available online, however an excellent translation may be found on p. 941, The Middle Length Discourses of the Buddha, a new translation of the Majjhima Nikaya, translated by Bikkhu Nanamoli and Bhikkhu Bodhi, Wisdom Publications, Boston, 1995. And, Entry into the Inconceivable, An Introduction to Hua-yen Buddhism, translations and introduction by Thomas Cleary, University of Hawaii Press, 1983. Introduction to Meditation – A two day mini retreat. What is Meditation? What is not Meditation? Why Meditate? How to Meditate? Where to Meditate? Weekend 1- (Forest Retreat Centre- Waldpädagogisches Zentrum Burgholz) Jan. 23-25th – Open to all 1) Teachings on Tantra: What it means, why it developed and how it developed. How Tantra works and why it is so important to Western practitioners of Dharma; Tantra and Compassion; the meaning and importance of transmission and Wongkur (Empowerment); Tantra and the removal of life obstacles. 2) An introduction and overview to the Mandala Offering in the Extraordinary Foundation Practices: What is a Mandala? ; What is offered and why; the many levels of meaning and understanding of this profound meditation; building strength/merit and power to awaken. 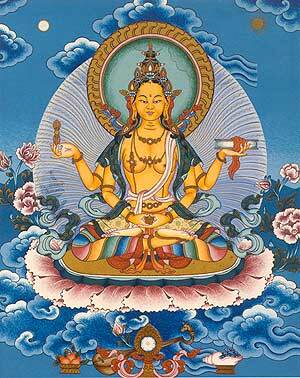 3) A Vajrasattva Wongkur and some pith teachings. In Wuppertal City- Authorization Wongkur of Yamantaka- An Evening during the week of January 26th (contact Karin Ricono for details) Requirements to attend: 1)Everyone attending is to be of healthy mind and body. Only for those who have completed at least 100,000 mantras of Chenresig, Sakyamuni or Manjusri or other Deity Yoga meditations, combined with visualization practice of the deity yoga. Attendance by approval of Karin Ricono. Pithy teachings on the meditation practice of Yamantaka will also be given. Weekend 2- (Forest Retreat Centre- Waldpädagogisches Zentrum Burgholz): January 30 to Febuary 1st. Open to all. Teachings and direct instructions on the Natural Mode of Freedom. “The Essential Point in Three Statements” by Khepa Sri Gyalpo (Patrul Rinpoche). Lama Mark will teach from this wonderful and pithy Dzogchen text. And he will give teachings to point out the “View”, Meditation” and “Conduct”, the natural meditative state, relaxing the mind and getting to the essential question. What is meditation and what is not meditation? Find out how not to go astray in meditation and Dharma practice, how to go right to the “heart of the matter.” Why practicing mindfulness alone does not liberate, and what other mental and physical factors are required for experiencing and developing confidence in this naturally compassionate and awake mode. For further informationplease contact Karin Ricono at 0202/305930 or 0049/17652579518 or Monika Ellies by email or by calling 0049/173392145. Announcing a deep month long retreat with Lama Mark Webber…. This retreat will take place from November 8 -December 7 2008 on Galiano Island, BC, Canada, at Bodega Resort. Topic: Two weeks of Anapanasati (Meditation on Breath) and the Four Foundations of Mindfulness, followed by two weeks of Dzogchen teachings. The empowerment of Fierce Guru With Phurba will also be given. 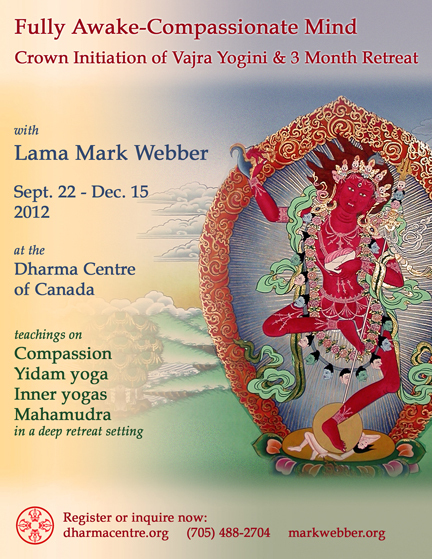 This retreat-workshop will be given by Lama Mark Webber at UBC-Vancouver School of Theology. It is intended for practicing therapists. Any other interested people besides therapists or for any further inquires regarding workshop details, please contact Cutting Edge Innovative Workshops: Saskia Soeterikor Debi Hartwell A description of the workshop can be seen on the poster. 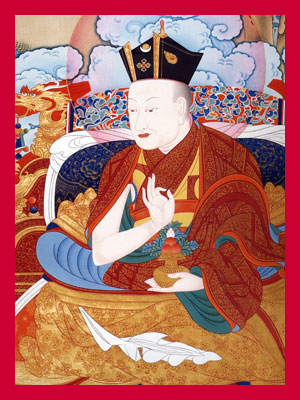 The Wongkur of Karma Paksi will be bestowed on August 16th. This is a profound Guru Yoga for the cultivation of mental strength, protection of the Dharma, and the realization of Wisdom. The prerequisite for attendance is the completion of 100,000 mantras of Chenresig or another Yidam. Date: Saturday August 16th, 7:30pm followed by teachings on this practice on Sunday 17th at 9:30am. Location: 1253 Chestnut Street, Vancouver. Please bring Tibetan musical instruments! (bells, horns, drums, Damarus…) For registration/queries please contact Gisele Sabourin by phoning 604-877-1469 or email by clicking here. “Questions About Living Life Well” We are pleased to announce: Open Public Talks on Galiano Island with Lama Mark Webber Bring your: “Questions About Living Life Well” July 8th, 15th, 22nd at 7:30pm Please Join us in the Page Drive meeting room. Any questions may be directed to Elizabeth Latta by email or by calling 250-539-3525. Dates: July 7-26th (three-weeks), with one, two and three week options. * “Generosity- both the act of giving and receiving- is a vital root nourishing all meditative and spiritual growth. Without generosity conjoined with penetrative insight, the fruits of one’s practice, especially meditative concentration are always weak. Zambala is a principle Tantric meditative deity (Yidam) for unfolding the unity of generosity and wisdom and the skill to help others develop this strength. It is a corrective to mental and material impoverishment, so we have abundant energy to fulfill the Path of Liberation and give this gift to others. Generosity is the rapid antidote to attachment, hoarding, stinginess and clinging. We need to unfold a generous mind filled with concentration, exploration, joy, love and awareness; this is a supreme gift to ourselves and all living beings. The more we overcome resistance to giving and receiving beyond what we thought possible, fear and anxiety evaporate and the non-clinging, free and luminous aspect of the mind naturally manifests. Insight or wisdom is gaining a clear and continuous experience of this naturally inherent aspect of mind. In this retreat, through a combination of Empowerments, teachings, daily meditations, body, breath and energy awareness we will begin to discover and unfold the power of generosity which is within all of us.” (Lama Mark) To Register for this retreat please email: crystalmountainsociety@yahoo.ca or Phone 250.383.3032 * One may attend the first week; the first and second weeks or the full three-weeks. A week’s teaching on lovingkindness and Emptiness. The empowerment of Six-armed White Mahakala will also be bestowed. Please contact Janet Eades for more information or registration. ANNUAL THREE-WEEK MAKARORA RETREAT Lama Mark will be bestowing the empowerment of Karma Paksi and giving teachings from texts by the great 8th century teacher and yogi, Padmasambhava. There will be individual meditation guidance and group practice sessions. This retreat will be a great opportunity to learn the essence of meditation, mind yoga and some physical movements to bring about peacefulness and bright awakeness. Throughout the course, Lama Mark will point to and instruct on the essence of true meditation; the natural continuum of mindfulness and lucid awareness inherent in every moment, in every one of us. We come to discover, through sustained concentration merged with loving-kindness, a compassionate, vividly aware mind free of mental obstacles and delusions. The empowerment of White Six-Armed Mahakala will also be given. This is a practice for the discovery of Pristine Awareness, support for meditative practice through richness and power, the dissolution of material and psychological poverty for all beings, and the alchemical transmutation of the life energies. Location: Makarora Homestead, New Zealand Please contact Alan for more information or registration. 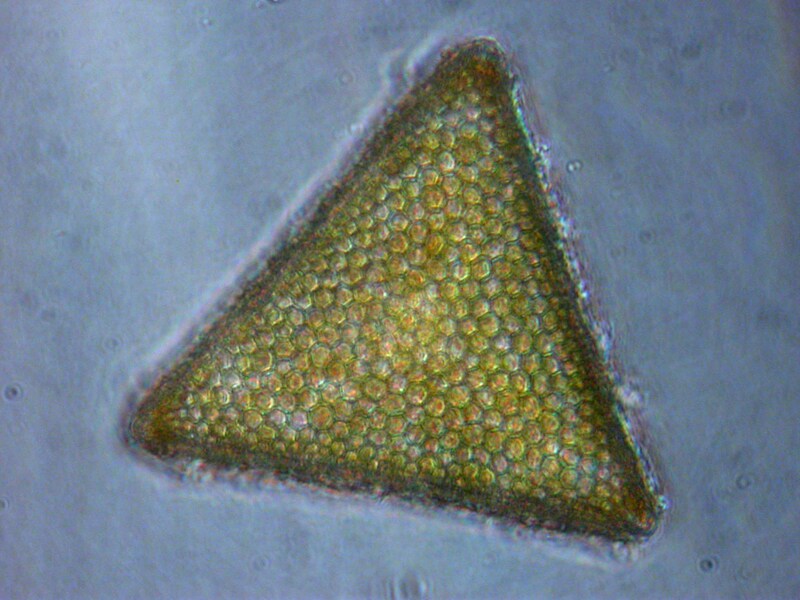 Continuing research into the autoecology of the diatom Ditylum brightwellii. An in-depth investigation into the behaviour of this marine organism. Specifically addressing its “patchy” distribution and apparent stress in the natural environment. Boat trips will be underataken in Akaroa Harbour to collect biological and nutrient samples. Microscopic studies will be carried out in the laboratories of the University of Canterbury. Please contact Rafael Hoekstra for more information. 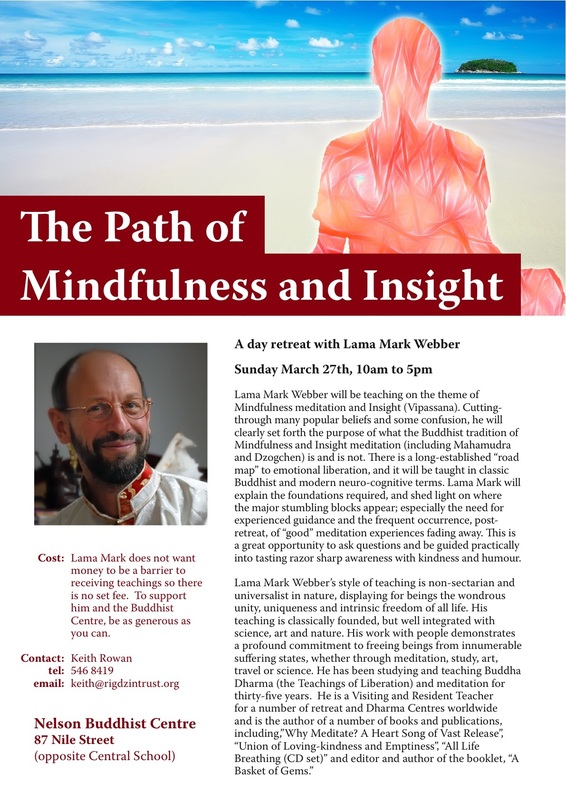 A BOLD ILLUMINATION OF THE MEDITATIVE PATH Lama Mark Webber will be teaching on the topic of the Western Mystical path, a subject he is currently teaching and exploring during the three-month San Ginesio retreat. Readings and commentary from St. John of the Cross’s manual of meditation called the Ascent of Mt. Carmel will form the core of this weekend of teaching and meditation. St. John of the Cross is a famous 16th century mystic and one of Spain’s greatest poets. He was also a brilliant systematizer of the entire spiritual path, especially his division of the path into three Dark Nights; of the senses, of faith and of God, corresponding to the lights of evening, midnight and dawn. 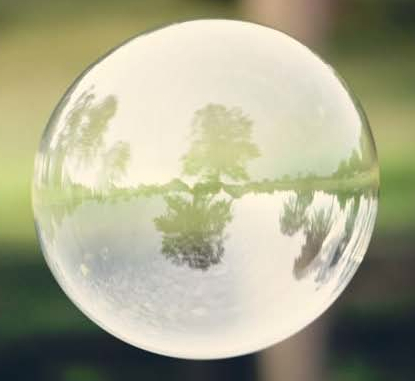 The equivalences, to be revealed in these classes between St. John of the Cross’s teachings and the Mahamudra and Dzogchen traditions are unmistakable, illuminating and beautiful to behold. Lama Mark will also discuss some differences in cultural attitudes and history between Buddhism and its meditation systems and the path of the Western Mystic; including how we integrate our rich Western tradition of enquiry and scientific method. By exploring the teachings of a great Christian Mystic, meditative practitioners no matter what path they follow may see how universal and essential is the nature of liberation. ; Location: Queenstown Dharma House Please contact Alan for more information or registration. “For those engaged in the Vajrayana tradition of Buddhism, Deity (Yidam) Yoga practice is essential. These meditations bring about mental and physiological strength, ripen talents and richness, clear away difficult obstacles and help bring about profound compassion and wisdom. There will be discourse, practice and commentary to help practitioners gain a vast view of the importance and joy of Yidam meditation and mantra yoga and how to deeply integrate it with the mind’s inner potential. So many unnecessary misunderstandings and frustrations are present around these Yogas, especially the practice and view of mantra yoga, visualization, different modes of practice and the essential dissolution stage. The structure, purpose and inner nature of these meditations will be clarified. In addition, the training and explorations that must be accomplished, the signs of discovery, and how insight meditations such as Mahamudra and Dzogchen are seamlessly integrated into these Yogas will be shown. 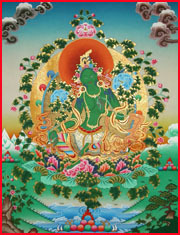 Without integrating these yogas with the View of Emptiness, one may as well plant seeds in barren ground or watch images in a mirror without ever investigating the nature of the mirror.” -Lama Mark The empowerments of Green Tara of the Acacia Forest and Sakya Pandita Manjusri will be bestowed. Location: Queenstown Dharma House Please contact Alan for more information or registration. “At the heart of all Buddhist meditation is the practice of Loving-kindness. Without a good foundation in loving-kindness many obstacles will occur to unfolding the union of wisdom and compassion. There is so much frustration, anger, rage and jealousy in us; these states of mind and body must be quenched, tamed and dissolved into a loving, open heart of clear mind. To love, we feel we must hold on, deeply grasp to ideas, objects, people and places- this is not necessary- and it causes suffering. We discover, the more we empty out all grasping and delusions, the more love for all life pours into us. 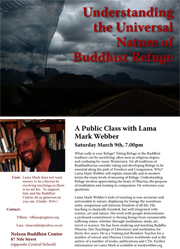 …” -Lama Mark Location: Queenstown Dharma House Please contact Alan for more information or registration. AN EXPLORATION OF THE HEART SUTRA. Lama Mark will be teaching from the Heart Sutra during this non-residential retreat. The Heart Sutra is one of the great Buddhist classics pointing directly to the nature of emptiness, the essence of all experience and wisdom mind. It is a pithy and poetic meditation text, compassionate and deeply moving. With mindful attention to the experiences of our eyes, ears, nose, tongue, body, perceptions, feelings and mind we begin to experience an open and wondrous freedom. The Tantric empowerment and meditation of Prajnaparamita, who embodies the teaching of the Heart Sutra will be bestowed during this course. Location: Home of Compassion Community Centre, Island Bay, Wellington, New Zealand Please contact Ruth Pink for more information or registration. “The meditations of the Twenty-one Taras (female embodiments of wisdom and compassion) are a powerful entry gate into liberation from fears and anxieties and the building of great emotional and mental strength. By becoming each figure in the mandala, different types of obstacles are dissolved and strengths and talents open. This is a mandala of compassionate awake activity. 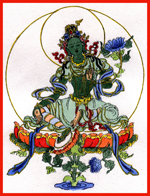 Each figure is an aspect of the central green figure of Tara (Tara-“to cross over”). 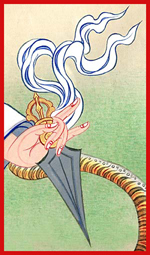 Around her are four different Taras representing the Four Buddha Activities of: peacefulness, unfoldment/increase, power, and fierce cutting through all obstacles. Then there are the remaining sixteen Taras that help remove deep seated fears and anxieties and bring about immense strength. In addition to explaining the rich and ancient tradition of Tara, this is an ideal time to share some modern psychological and physiological views about anxiety and fear, trauma and the remarkable plasticity and openness of our nervous system.” -Lama Mark Location: This residential retreat will be held on a retreat property in the Waitakere hills, West Auckland. Please contact Janet Eades for more information or registration. A BOLD ILLUMINATION OF THE MEDITATIVE PATH Lama Mark Webber will be teaching on the topic of the Western Mystical path, a subject he is currently teaching and exploring during the three-month San Ginesio retreat. Readings and commentary from St. John of the Cross’s manual of meditation called the Ascent of Mt. Carmel will form the core of this weekend of teaching and meditation. St. John of the Cross is a famous 16th century mystic and one of Spain’s greatest poets. He was also a brilliant systematizer of the entire spiritual path, especially his division of the path into three Dark Nights; of the senses, of faith and of God, corresponding to the lights of evening, midnight and dawn. The equivalences, to be revealed in these classes between St. John of the Cross’s teachings and the Mahamudra and Dzogchen traditions are unmistakable, illuminating and beautiful to behold. Lama Mark will also discuss some differences in cultural attitudes and history between Buddhism and its meditation systems and the path of the Western Mystic; including how we integrate our rich Western tradition of enquiry and scientific method. By exploring the teachings of a great Christian Mystic, meditative practitioners no matter what path they follow may see how universal and essential is the nature of liberation. Location: Maitreya House in Lower Maescoed, Hereford, UK please contact Simon for more information or registration. “6The meditations of the Twenty-one Taras (female embodiments of wisdom and compassion) are a powerful entry gate into liberation from fears and anxieties and the building of great emotional and mental strength. By becoming each figure in the mandala, different types of obstacles are dissolved and strengths and talents open. This is a mandala of compassionate awake activity. 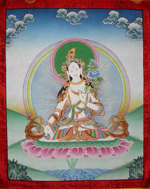 Each figure is an aspect of the central green figure of Tara (Tara-“to cross over”). 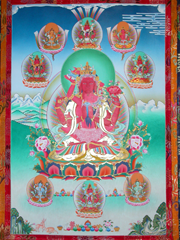 Around her are four different Taras representing the Four Buddha Activities of: peacefulness, unfoldment/increase, power, and fierce cutting through all obstacles. Then there are the remaining sixteen Taras that help remove deep seated fears and anxieties and bring about immense strength. In addition to explaining the rich and ancient tradition of Tara, this is an ideal time to share some modern psychological and physiological views about anxiety and fear, trauma and the remarkable plasticity and openness of our nervous system.” -Lama Mark Location: Waldpadagogisches Zentrum Burgholz , Wuppertal. Contact: Karin Ricono telefon 0202/ 305930 or email for more information or registration. Visit friends, the country. Exchanges-sharing on Kabbalah and Buddhist meditations. No classes announced. Individually guided meditation programs with weekly interviews. Teachings on the topic of the Western Mystical path. Readings and commentary from St. John of the Cross’s manual of meditation called the Ascent of Mt. Carmel forms the core of this retreat’s teaching and meditations. Also teachings on the Mahamudra and Dzogchen traditions of meditation, faults and pit-falls in meditation and teachings clarifying the nature of true meditative realization. 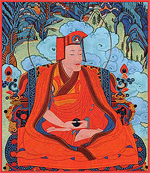 Wongkur of Chenresig. We have found an excellent retreat house in a beautiful, peaceful location in IL CASTELLANO http://www.ilcastellano.info 7 bedroom farmhouse, with 2 additional rooms, 3 bathrooms, teaching area, large kitchen.There is a small wood at the back of the house, which is filled with a wide variety of Mediterranean trees. It is part of the property, and so would be for your exclusive use. There is also an ancient footpath which takes you the 8 km to San Ginesio (click this link and then type San Ginesio, a beautiful walk which leads to an equally beautiful medieval town, with breathtaking views of the Sibillini Mountain range. We have options for this retreat.#1 short term retreat, anytime between October 5th and Jan.5th. The cost is unknown for a short term retreat, but most likely $40 CAN/day for Accommodation, $15/day for food, a donation towards Lama Mark’s expenses, your personal travel expenses and Dana for Lama Mark.Please feel free to contact me about a 1 week, 2 week or however long you can come to Italy for a retreat. We have another farmhouse which is separate from the one described above, which will create an environment for short term retreats away from the deep retreat itself.#2 93 days in length from October 5th to January 5th. TOTAL COST: Roughly the total cost per person for the length of the retreat including accommodation, food and expenses for Lama Mark would be approximately $6500 CAN ($70/day)not including your personal flight cost and Dana for Lama Mark * The total cost is based on 7 people and will shift if we have more people in retreat. If there are 9 people in the retreat, which the farmhouse has the capacity for, then all the above costs will change slightly (lower), and they would also change if the exchange rate from Euros to CANadian dollars changes. We need to know who is serious about this retreat so that we can reserve this house, another house for Lama Mark and plan for this retreat.please email for more information or registration. Lama Mark will confer the Wongkurs of the Twelve Manjushris: August 7th, 8th and 9th Followed with teachings and meditations of the Wisdom Mind: August 10th and 11th Manjushri, as a meditation deity is an embodiment of the Wisdom Mind fully integrated with the compassion to teach and lead beings to Liberation. 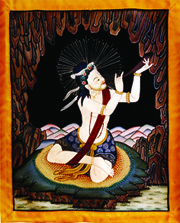 The Tantric meditations of the Twelve forms of Manjurshri were brought from ancient India to Tibet in the 11th century by the great translator, teacher and yogi, Bari Lotsawa. And the initiations bestowed by Lama Mark will give authorization to practice, develop and reveal profound facets of the intelligence of the Wisdom Mind.These practices are especially good for increasing clarity, logic, brightness, intelligence, speech, explanation of Dharma, all with a gentle heart of compassion. In addition to the empowerments and teachings of Manjushri, Lama Mark will connect these practices to the great meditative traditions of Mahamudra and Dzogchen (penetrative insight). please email for more information or registration. Click here for a poster of the retreat. 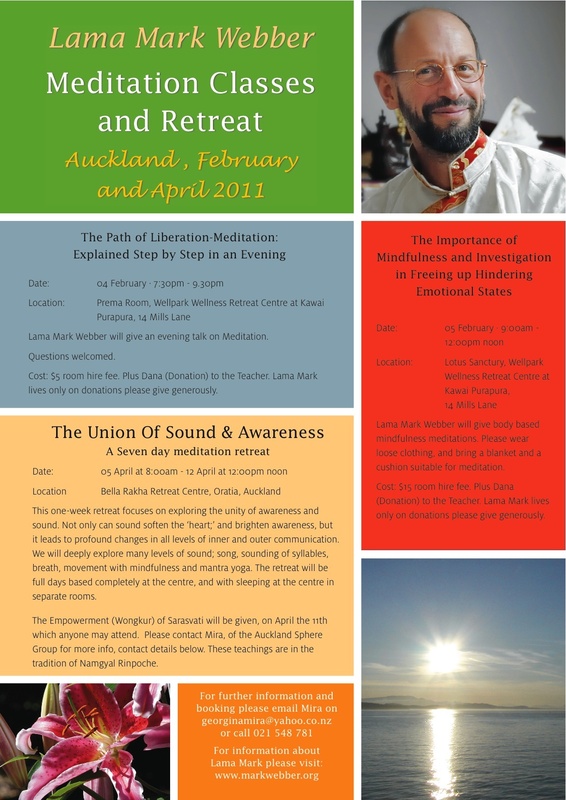 Three months of Public teachings, guided meditations, weekend meditation retreats and Wongkurs in Queenstown New Zealand. please email: qtndharmahouse (at) yahoo.com for more information or registration. April 21st to May 13th in Makarora. Meditations and teachings introducing the natural state of awareness. With the empowerments of Guru Rinpoche and Fierce Guru with Phurba. please contact Sunil for more information or registration. we are presently looking into a trip in early February, if you are interested please email me. 2007 – January 19th to 31stCrystal Mountain Retreat & Study Centre ,Galiano Island, B.C. The Dharma Centre of Canada is pleased to announce a wonderful opportunity to do a deep meditation retreat with Lama Mark Webber. No specific program has been set up; this retreat will be primarily tailored to each participant’s requirements and experience. Though each participant will have an individual program of retreat work, many participants will be encouraged to participate in occasional structured group programs and teaching. Initially, for a number of weeks, Continuum of Awareness (energy balancing and movement) sessions will be held. Meditation interviews will be available throughout the retreat. Mark has indicated that he will give some wongkurs during the retreat, and at some point, the Crown Initiation of Dorje Phagmo. Additionally, there will be two weeks of instruction and guidance on the classic Vipassana practice on the Elements (dhatus) and he will conclude the five-month retreat with a 3-4 week teaching on the Progressive Stages of Emptiness. To inquire about this retreat and or any retreats at the Dharma Centre of Canada, please contact the administration. Wongkur will begin at 845am, please arrive on time. Location: Just the other side of False Creek, 2 blocks west of Cambie (3261 Heather Street, between 16th and 17th). 2006 – July 8th to 29th,Crystal Mountain Retreat & Study Centre ,Galiano Island, B.C. July 8th to 11th Family Retreat: Continuum of Awareness, traditional incense making, meditations and evening teachings. With a focus on community building and Dharma practice in daily life. The family retreat is not a prerequisite for the Diamond Dakini retreat but will be a very supportive way to move into the longer retreat, attendance is recommended by Mark. Silence will not be maintained. Everyone welcome .Course fee $37 per day includes camping, meals and course expense, flexible family rates. Dana: donation to the teacher for the teachings, suggested $20 -30 per day. 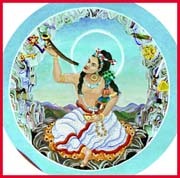 July 11th to 29th, The Diamond Dakini/Milarepa Retreat The process of Tantric purification and meditation. ; With wongkurs (Tibetan style initiation);given on Vajra Yogini and Milarepa with teachings from the Hundred Thousand Songs of Milarepa Course Fee: $37 per day includes camping, meals and course expenses. Dana: donation;to the teacher for the teachings, suggested $20 – $30 per day. 4 day Retreat: Awakening from the Day & Night Dreams. 2006 – March, April & May, South Island, New Zealand February 27th to April 2nd: Open public talks and meditation courses in Queenstown, please contact Sunil for registration and information.Retreat: April 7th to 16th: Karma, Biology and Glimpses of Abhidhamma, Part of The Wangapeka Buddhadharma Study and Meditation program, please contact the administration at the Wangapeka for information and registration. Retreat: April 22nd to May 13th Meditations on Space, Light and Mind in Makarora, please contact Sunil Nathvani for registration and information. May 10th and into June: Open public talks and meditation courses in Queenstown, please contact Sunil Nathvani for registration and information. There will be teachings on the inner fire yoga, some practices of the 6 Yogas of Naropa, all integrated with the Mahamudra. Demchog Tib. 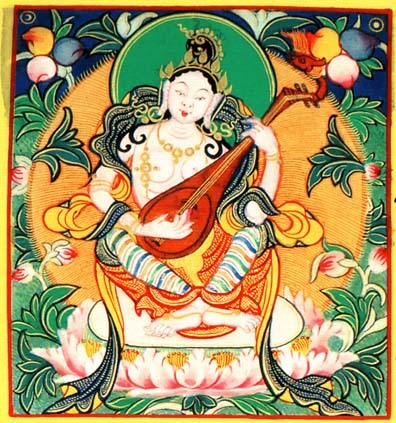 (Cakrasamvara. Skt.) is one of the major meditations of the highest yoga class of Tantra. 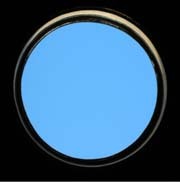 It focuses on assisting in the realization of the Clear Light mind; the union of bliss and emptiness. The practice of Demchog involves both the control and unfoldment of the prana (breath)-mind with the realization of Mahamudra (penetrative insight). This high yoga is the great marriage of compassionate involvement with all life through the realization of emptiness. Lama Mark is available to give personal retreat instructions as well. Please contact the administration at the Dharma Centre of Canada for more information. 2006 – January 8th – 26thCrystal Mountain, Galiano Island, B.C. Dream Yoga & Meditations on Space, Light and Mind. This Retreat will be held at “Bodega Resort”. Accommodation will be in shared cabins with private bedrooms and fully equipped kitchens. The site is very quiet and spacious. The cabins are bright and well appointed. Please visit www.bodegaridge.com to view photos. Retreatants should bring their own groceries for at least the first week (after that, shopping trips will be arranged). Course Fees are $360.00/retreat Accommodation -$325.00/retreat Dana Suggested -$30.00/ day For more information and registration contact Janice , Emily, OR Jamie. 2006 – January 4th, 5th & 6th, Vancouver, B.C. With teachings on the Extraordinary Foundation Practices as taught in the Tantric Buddhist tradition. This retreat is just outside of Winnipeg, at a St. Benedict Nunnery. Open Public talks at the Dharma Centre of Winnipeg at 7pm, please contact Gerry Kopelow for directions to the centre and for information and registration for the retreats. 2005 – October to December, Rossland, B.C. We mostly spent our time in a southwest coast town called Unawatuna, and furthered our explorations from there north into Nuwara Eliya District learning about teas, visiting tea plantations and tasting many many varieties. We visited many holy sites, ate wonderfully cooked local foods, went to the top of Sri Pada (Adam’s Peak) thoroughly enjoying our time in Sri Lanka. Mahamudra retreat at Kaspang Gompa & trek through the Zanskar and Ladakh Ranges within the Great Himalayan Range. 2005 – July 1st to 21st, Crystal Mountain, Galiano Island, B.C. Retreat and Evening teachings on Generosity and Loving Kindness in the Galilee & Tel Aviv, Israel. Please contact Tzippy Kalish for information. 2005 – May 13th to 19thQueenstown, N. Z. 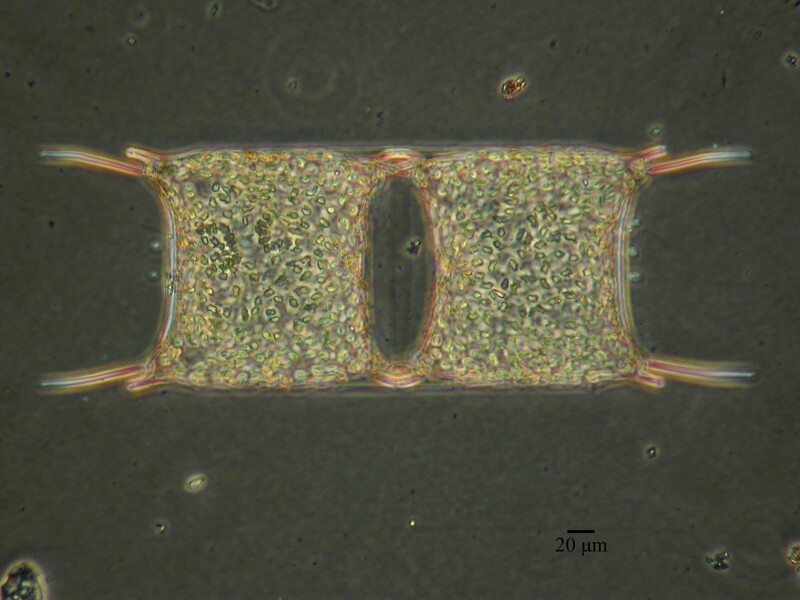 2005 – May 7th to 10th, South Island, N. Z.
and further marine plankton studies on the west coast. 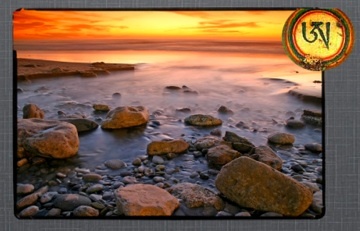 2005 – April 30th to May 6th, Punakiki, N. Z.
Dharma teachings, nature explorations & microscopic adventures of the Ocean. Course and Silent Retreat. Makarora Homestead and Holiday House, N. Z. One and a half hours drive away from Queenstown. 2005 – March 26th to April 3rd Queenstown, N. Z. 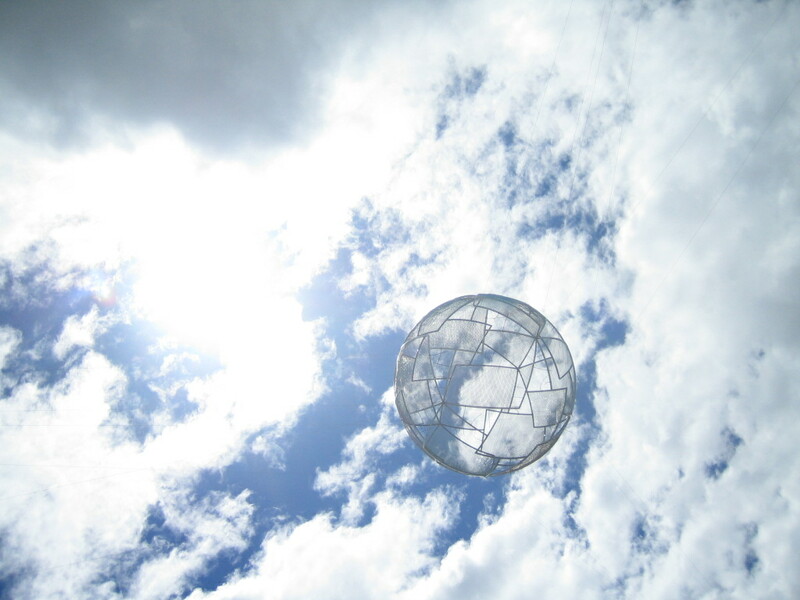 2005 – March 19th to 24thQueenstown, N. Z. Evenings: Relationships, Sexuality, Meditation and Liberation. Mornings: 3-4 hour microscopic explorations of Lake Wakitipu. Fun mini-course on freshwater plankton and the diversity of life. 2005 – March 4th to 13thWangapeka Study & Retreat Centre, South Island, N. Z. An Exploration of Micro and Macro. During this course Mark will lead us in explorations with microscopes, movement and meditation that will highlight the vast interconnectedness of myriad dimensions of life. Part of The Wangapeka Buddhadharma Study and Meditation program. 2005 – February 20th, Toronto, Ont. The Nature of Freedom and the ego. 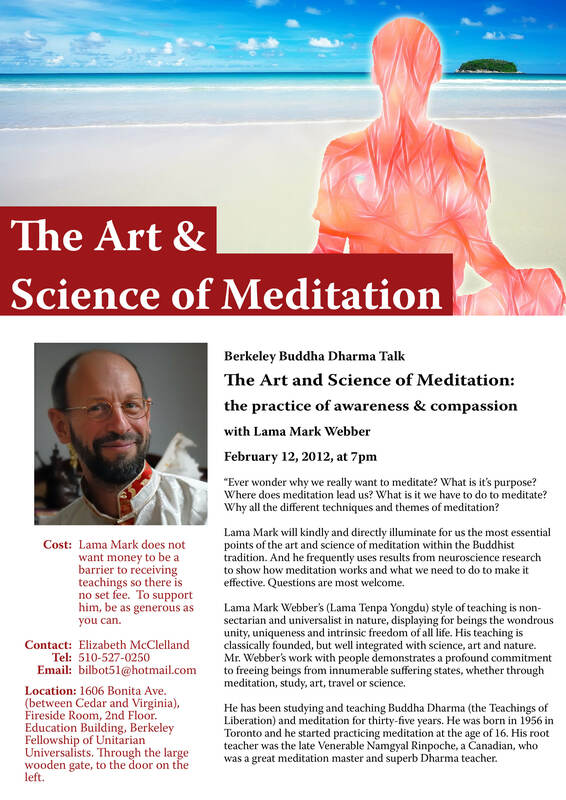 Open public talks at the Toronto Dharma Centre. 2005 – February 9th – 20thDharma Centre of Canada, Kinmount, Ont. The Vajra Yogini practice is only open to people who have completed 100,000 mantras of a peaceful Tantric meditation Deity. Individually guided retreats with Mark are also available. Please contact the administration at the Dharma Centre of Canada for more information. 2005 – February 5th and 6th, Vancouver, BC. Open public talks in Vancouver. 2005 – January 14th to February 5thCrystal Mountain, Galiano Island, BC. This retreat emphasizes the awareness of the unity of breath and energy, leading to more vitality and reveals the natural vividness and openness of mind. This practice of developing breath will support a final week of insight practice in the tradition of Mahamudra. The meditative practice of Karma Pakshi, the second Karmapa is a powerful guru yoga with many profound pith instructions on Mahamudra. Mahamudra (Vipassana) Retreat: August 28 – September 9th The fruit of Mahamudra is the realization of the nature of mind, the natural state. 2004 – March 23rd – April 7th, Seychelles Islands Mark will be joining approximately twenty of Namgyal Rinpoche’s students on a natural history sailing cruise of the Seychelles Islands. 2004 – February 20th – March 20th, Mozambique, Africa Mark will be acting in the capacity as a heritage consultant to a cultural and natural history project of the Inhambane region, Mozambique. The project is funded by the German government and is directed by Chris Stephens, a Canadian archeologist. Mark has also been asked to create a photographic record of microscopic life of the reef environment for a forthcoming nature guide of the region. 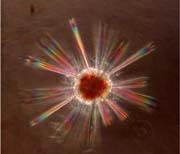 2003 – Tuesday, December 2nd, 7:30pmCrystal Staff, Ottawa, Ontario A workshop called Dharma in a Drop of Water – microscopic explorations. Bring along an unusual/unique Cheese, fruit, or a bit of dessert. 2003 – November 30th, 9:00am – 12:00 and 2:00pm – 4:00pm, Ottawa, Ontario Workshop, Awareness & Movement, themes from the practice of Vajra Yogini at Rockcliffe Community Centre. There is a $10 per person fee to cover the cost of room rental. 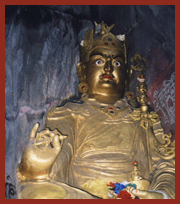 2003 – November 29th, Ottawa, Ontario 8:00 am at Samten Choling, Demchog of the Five Devas Empowerment. 2:30 pmMuseum of Nature, Gem visit and talk (Mark Webber is an adept gem cutter and mineral enthusiast) Meet at the front door. Please note there is an entry fee to the Museum. Continuation of September’s 27-29 course. Everyone is welcome to attend. For further information contact: Susan McDonald at 905 885 3745 or Jorge Periera in Port Hope, Ontario. 2003 – October 14th – 30th, Tuesdays and Thursdays, Rossland, BC Introduction to Loving Kindness Meditation in Rossland BC. 2003 – September 27-29, 10:00 am to noon & 2:00 to 4:00 pm, Port Hope, Ontario Mark is teaching basic principles of meditation, and body movements to release tension and stagnant energy. You can come for one day or all three! For further information contact Jorge in Port Hope, Ont. 2003 – September, Kinmount, Ontario Mark is attending a course that Namgyal Rimpoche is teaching in Kinmount, Ontario.